How Many Colours are there in our Billy the Kid range? 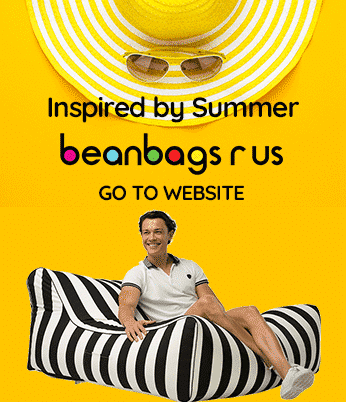 Bean Bags R Us NewsKids Bean BagsNow there are Nine Colours in our Billy the Kid range! If you thought that our Billy the Kid children’s bean bags couldn’t get any better, along comes four stunning new colours to prove you wrong! These wildly popular kids bean bags have been available in lime, pink, orange, black and turquoise, but there’s no such thing as having too many options. Therefore, we’ve added light grey, blue, white and red versions that are sure to add the perfect amount of fun and flair to any child’s room or play area. The colours are new, but the quality, style, comfort and durability all remain intact to ensure long-term enjoyment. Billy the Kid bean bag chairs are perfect for any child. With the addition of four new colours, it will be easier than ever for you to find one that your kid will love. Young children often have favourite colours, and it’s even more likely that your children will be offered in this lovely line-up. From shimmery silver to bold, eye-catching red, the new colours are designed with stylish kids in mind, and parents love them too! Our Billy the Kid children’s bean bags have been top sellers for a long time, and it’s easy to see why. They are small and lightweight enough for young kids to carry them around, but they’re strong enough to withstand all kinds of abuse. What’s even better is that they are remarkably comfortable. Your child will love the unique shape of his chair and the fact that it is the perfect size for him or her. The new colours are sure to get your child’s stamp of approval, and the fact that the chair is ideal for kids between the ages of three and seven is also a big perk. As with all of our kid’s bean bags, the colourful new Billy the Kid bean bag chairs are shipped flat and are easy to fill, thanks to separate mesh liners. You can purchase the filling you need at Big-W, K-Mart or Target. We dispatch online orders within 24 hours, so your Billy the Kid beanbag will be on its way right away. Durable 1680D polyester is stain- and water-resistant, which ensures that your new bean bag chair will survive through practically anything. Choose your child’s favourite colour and place your order today!